Hi everyone! I hope you are all well. Like most girls on the planet, I am trying to grow out my hair. Right now, my hair would be allllmost down to the middle of my back, and I would love my hair to reach my thighs! When my hair reaches my thighs, I will be hacking off 7 inches for a charity that makes wigs for cancer patients. 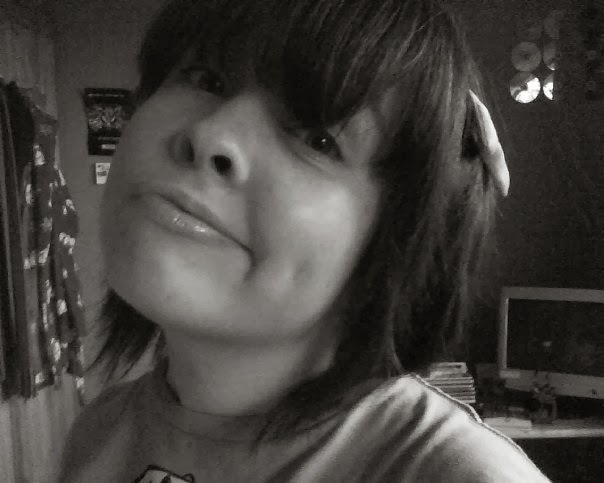 However, when 7 inches is cut off, I will be regrowing it to reach my thighs again. It's not enough to just simply let hair grow. It has got to be kept in tip top condition, so it will be happier to grow and won't look ratty. For this, I've researched some products and found the products mentioned below have been amazing for healthy hair. 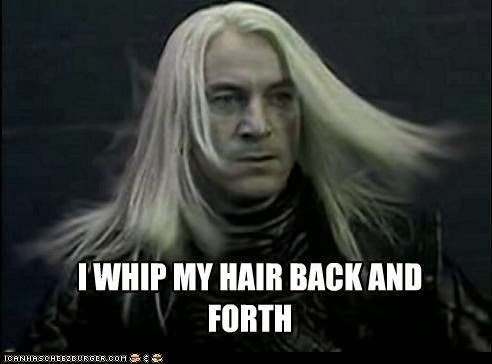 Fellow Harry Potter fans, love him or hate him, one thing will always be true, death eater Lucius Malfoy has got the most fabulous hair. (and style, for that matter) It's long but very healthy and well kept. One of my main hairspirations. 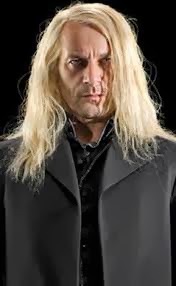 Therefore, he's the namesake of this hair growing project. 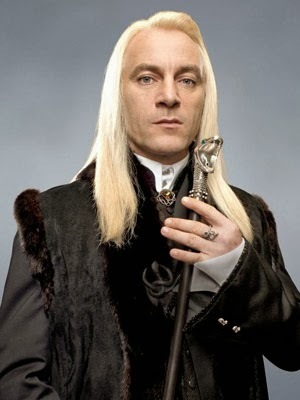 Lucius's hair is, luscious. 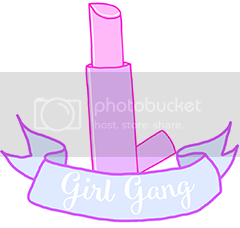 The products I have used are: Organix Renewing Moroccan Argan Oil shampoo and conditioner, L'Oreal Essential Oils, Aussie Take The Heat 3 Minute Miracle, and Argan Oil leave in heat defence spray. I thought I'd write a bit on each and how I use them. 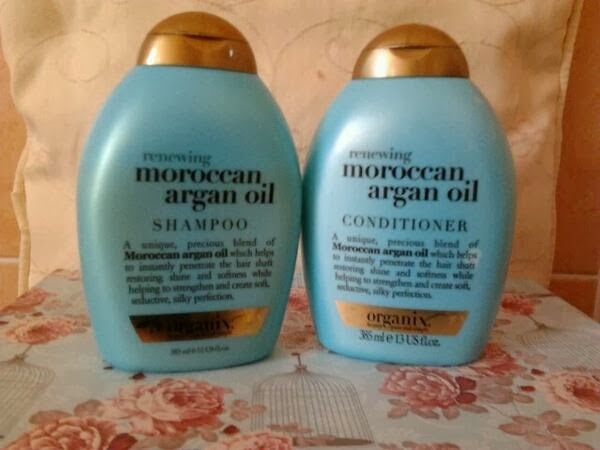 Organix Renewing Moroccan Argan Oil shampoo and conditioner- Argan oil is a great ingredient for hair, it makes hair super soft, super healthy and super shiny, and I am so glad I invested in this shampoo and conditioner. Not only has it made my soft, shiny and healthier, I've noticed that my hair has been more inclined to keep its shape and be more behaved, especially where styling is concerned! I have heard that it's great for helping hair growth too as it's deeply healing. It smells gorgeous and every time after I use it, I find myself always running my hands through my hair. It has vitamin E and antioxidants, renewing your hair's cell structure, sealing in shine, and creating amazing softness, and protecting against heat and UV damage. What more could you want out of a shampoo and conditioner when you're trying to grow your hair? They're €8.99 each, but well worth the investment! L'Oreal Essential Oils- Recommended my one of my favourite beauty bloggers, with pormises that you would notice rapid hair growth, it sounded amazing! It costs €15, but luckily for me when I went into the chemist, it was only €8! This can be used three different ways, before shampooing, as part of styling, or as a finishing touch. I like to use it as part of styling and as a finishing touch. I use this twice a day, morning and evening, one pump is enough, the bottle will last me months! I adore how lightweight this oil feels! It's completely non-greasy. It gives off a very visible healthy shine and softens hair tremendously. My favourite thing about this is that the number of split ends I have at the ends of my hair has greatly reduced, fantastic for hair growth! Aussie Take The Heat 3 Minute Miracle- I probably go on too much about this product, but never the less, it is part of Project Lucius Malfoy. This deep treatment include Jojoba oil, which heals skin, hydrates hair, adds shine, softness and elasticity. The Jojoba oil fills in the cracks on the surface of the hair cuticle, repairing the damage done by styling. If you are trying to grow your hair, a good deep treatment is vital to keep it in the best possible condition it can be in. I use this once a week, anymore would weigh down your hair, I leave it in for up to a half an hour while I do other things to let it soak in, but if I'm in a rush, I'll leave it in for the three minutes and rinse it out. Argan Oil heat defence leave in spray- Growing your hair or not, if you use hot tools to style your hair, a heat defence spray is needed. While this does defend my hair against heat, and smells nice. I won't be repurchasing. It didn't leave my hair hydrated, shiny, smooth and it's not unique as it claims. It does nothing special for me, basically. 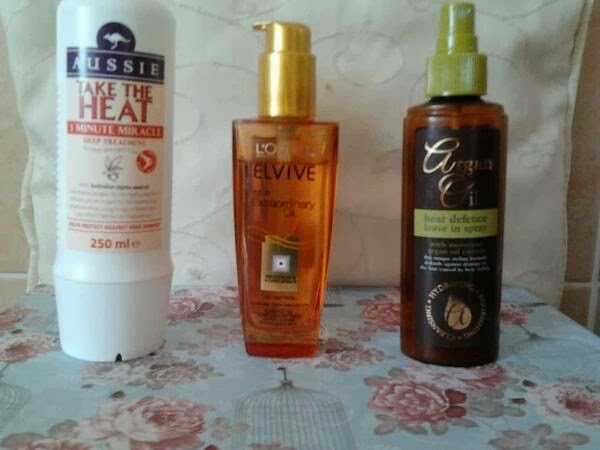 I had to include this in this blog as a good heat defence spray is so vital. If you know of any amazing heat defence sprays for hair growth, let me know in the comments! Some of my favourite tips for hair growth, which I found to be effective is to try your best to air dry your hair, the less heat you apply to your hair, the better and healthier it will be. Instead of always running a brush through your hair, run your fingers through it to minimise hair breaking. Diet is vital, what you eat will reflect on the outside, fruit and veg and protein will make your hair shine and be lovely and strong! I don't agree that getting the split ends cut, hair grows from the root, not the ends. I hope you all like this post and hopefully got a few tips from it. Share your tips in the comment section! Keeping hair healthy while growing it out can be difficult. Been growing mine out for a while now! It's been a journey. You're the cutest person ever! Great post and made me giggle, your hair suits you shorter in the photos too so you're lucky you can pull off both lengths! Good luck with the growing! I tried last year to grow it out but had to cut it as it just didn't look nice when it was long, lots of splits dispite looking after it. Thank you. 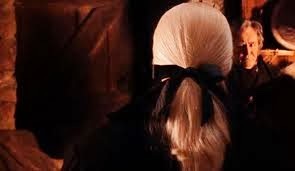 :) That's what I'm worried about happening, I really hope I can pull off really long hair!